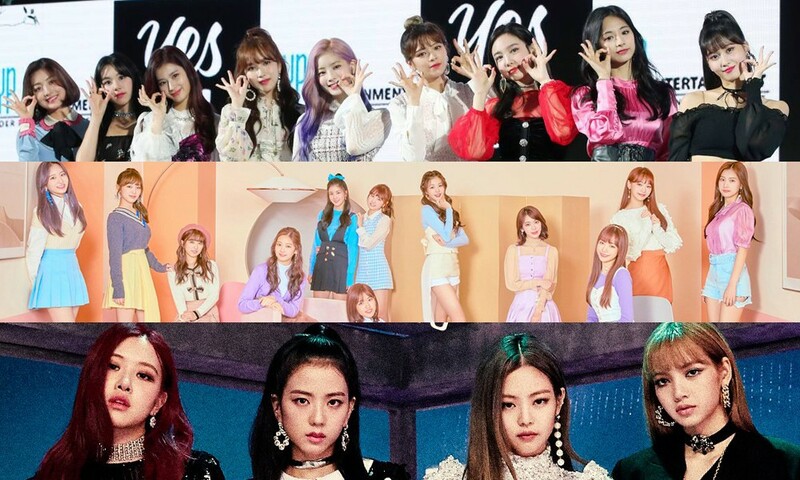 According to the Korea Institute for Corporate Reputation on November 9, the top girl groups in terms of brand values for the month of November are TWICE, IZ*ONE, and Black Pink. 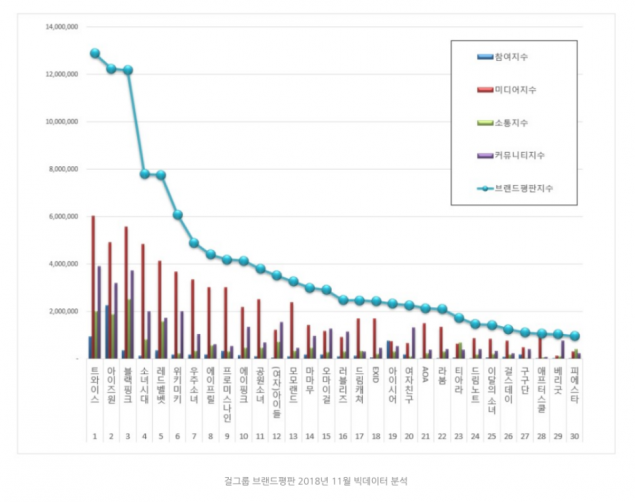 The Institute analyzed big date between October 8 through November 9, 2018, revealing that TWICE came in 1st place this month with a total of 12,887,067 points. 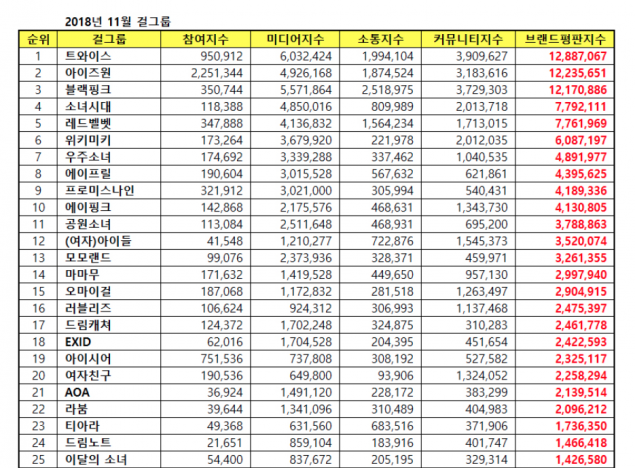 IZ*ONE, making their debut on the brand value rankings chart, came in 2nd place with 12,235,651 points. Finally, Black Pink's 3rd place score turned out to be 12,170,886 points, proving that the placement for the top 3 girl groups was highly competitive in November. From 4th through 10th place are, in order: Girls' Generation, Red Velvet, Weki Meki, Cosmic Girls, April, fromis_9, and A Pink.